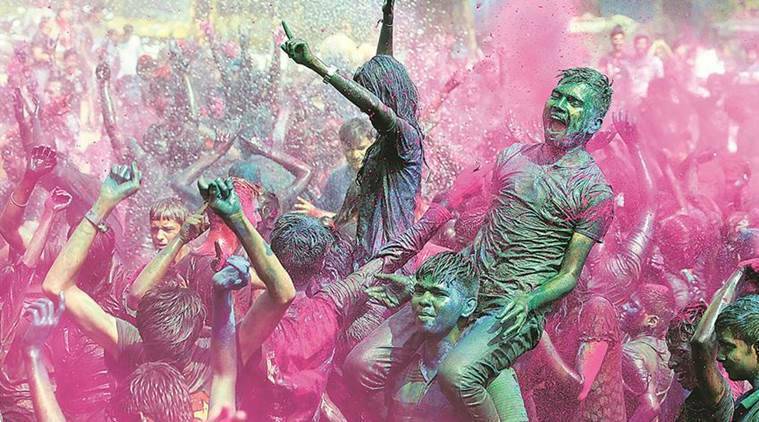 Holi 2019 Date: When is Holi in 2019? Holi 2019 Date in India Calendar: A symbol of triumph of good over evil, Holi marks the onset of spring. This year, the festival of colours will be celebrated on March 20th and March 21st. Holi 2019 Date in India Calendar: Celebrated by Hindus every year, on the day of Purnima (the full moon), in the month of Falgun over two consecutive days — the first day of Holi is known as Chhoti Holi or Holika Dahan and the second as Rangwali Holi, Dhuleti, Dhulandi or Dhulivandan. This year, the festival of colours will be celebrated on March 20 and 21. At some places, people also form a human pyramid and break a pot full of buttermilk hung at a considerable height. One of the most popular legends is the story of Hiranyakashyap who was a demon king and wanted to be immortal. While he wanted everyone to worship him as god, his son Prahlada was a devotee of Vishnu and this used to offend him. Once he asked his sister, who had a divine shawl that could not catch fire, to sit on raging flames with Prahlad in her lap. But Lord Vishnu, impressed by Prahlad’s devotion, killed both Hiranyakashyap and his sister. Another legend of Holi celebrations that is extremely popular in south India is that of Lord Shiva and Kaamadeva. It is believed Kaamadeva, the god of passion, awoke Shiva from his deep meditation so he could save the world. 1 Diwali 2019 Date: When is Diwali in 2019? 2 When is Chhath puja 2018? 3 What is the last date of filing Income Tax Returns 2018?